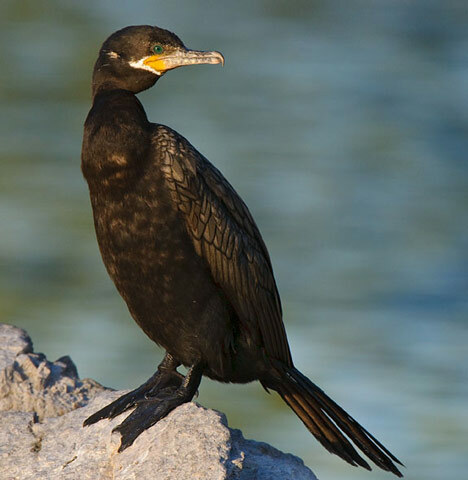 Neotropic Cormorant: Fairly common in U.S. range. Found primarily in Louisiana, Texas, and along the Rio Grande valley into New Mexico. Inhabits saltwater bays and inlets, and freshwater lakes and ponds. The northern populations are often called Mexican or Olivaceous Cormorants, and many authors treat these as a separate species, P. olivaceus. Those who say the entire population is a single species treat the northern birds as a subspecies Phalacrocorax brasilianus mexicanus and the southern birds as subspecies P. b. brasilianus. Unlike other cormorants, the Neotropic Cormorant can often be seen perching on wires. The Neotropic Cormorant has a large range, estimated globally at 18,000,000 square kilometers. 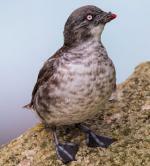 Native to the Americas and nearby island nations, this bird prefers wetland and marine ecosystems. The global population of this bird is estimated at 2,000,000 individuals and does not show signs of decline that would necessitate inclusion on the IUCN Red List. 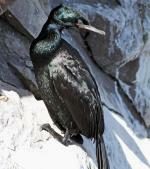 For this reason, the current evaluation status of the Neotropic Cormorant is Least Concern.